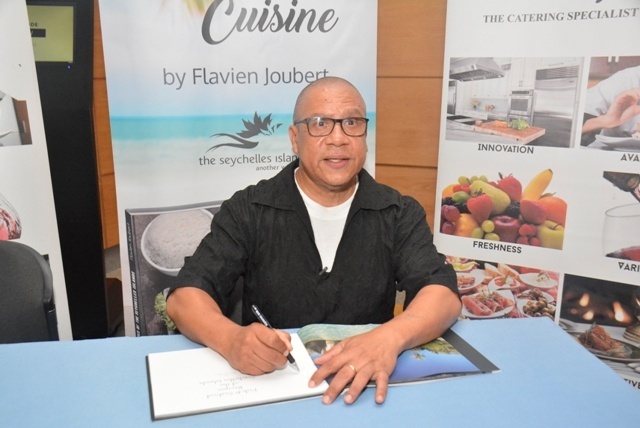 (Seychelles News Agency) - In the editor’s choice this week SNA brings you an interview with the Principal of the Seychelles Tourism Academy, Flavien Joubert. Joubert has 35 years in the tourism sector and for the last 11 years has headed the Seychelles Tourism Academy. Joubert spent 11 years on Praslin – the second most populated island of Seychelles -- working with the five-star Coco de Mer and Black Parrot Suites Hotel. 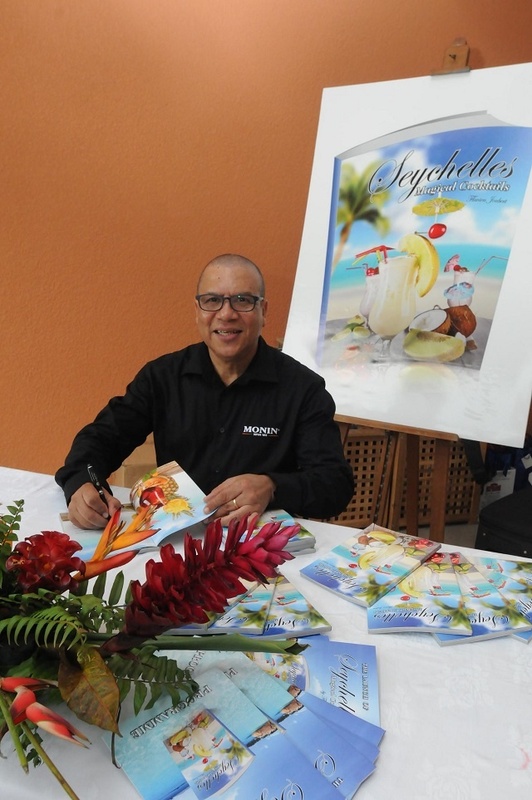 He is the author of two books, a cocktail book and the ‘Fish & Seafood Recipes of the Seychelles Islands’. SNA: What would you say have been your major achievements with the school? JL: When we as STA took over in 2007, our main objectives were to, upgrade the teaching at the academy, get all the programmes validated, and offer the first wellness & spa programme in Seychelles. We have to offer a hotel management programme starting with an advanced diploma leading to a Bachelor’s degree in partnership with an EU member country where Seychelles students can follow up with a Bachelor’s degree in Hotel Management. SNA: And your biggest constraint? FJ: My aim when taking over the school was to have a 100% Seychellois team. It is a very big wish, but here, it is very difficult due to the size of the population, and the length of time it takes to train before one is a fully fledged pedagogically and professionally a lecturer. The difficulty for staff to adapt to change, staff attitudes and mind-sets, as well as the level of students joining the different courses coupled with budget constraints, are some of the challenges I have to work with. I feel that my dedicated team and I will overcome all. SNA: What do you think is the reason why many students after studying at the academy fail to work in the industry, and how do you think this can be resolved? FJ: A system must be established and in place in all the hotels to welcome the graduates upon completion of their training. There must be career paths, graduates must also see the ladder of promotion, there must be mutual respect, and amongst all conducive basic salary. Unfortunately, a lot of graduates are attracted to the different services sectors which offer an 8 am to 4 pm working hours, weekends off and a conducive basic salary. This is a very complicated issue and all partners must join hands together to minimise the effects. SNA: But what does the trend show in terms of student’s intake each year? FJ: Yes, every year we see the number of students applying for a Programme at STA increases. For this academic year 2018-2019, we had over 500 requestss to join year one for the professional craft programmes. We had over 60 applications for the management Programme. Our marketing strategies are very good and efficient. Students are aware of the incredible amount of opportunities available upon completion of courses at the academy in hotels, guest houses, restaurant, discotheques, casinos, airlines, travel agencies, cruise ships, yachts. This is why the concerted effort is needed to ensure that they follow a career and stay in the Industry. SNA: How has the different Memorandum of Understanding (MOU) with international partners help with the development of the school? FJ: The different MOU’s have opened avenues for our lecturers to be sent for work attachments in Mauritius, China, La Reunion, Belgium, Germany, Shannon Ireland, South Africa, and Australia. This has provided opportunities for work attachment for our students in Mauritius Reunion, France. Our staff has also been on educational missions to Philippines, India, Ethiopia, Korea, Brazil, Italy, Switzerland, England, and Malta. All MOU partners both international and local have contributed immensely to the development of STA. At the same time, STA has welcomed over 580 foreign students from above countries during the past 10 years for work attachments in Seychelles, including guest lecturers at STA. SNA: What are your views on Seychellois having managerial positions in the hotels? FJ: After my studies in England, I returned to Seychelles to join another Seychellois group who had also been trained with me in England. Others had been trained in Germany, Switzerland, and France. We all had a career path plan. We all had a succession plan. We all had a mentor. Within a few years of our return to Seychelles, the situation was as such; the Reef Hotel had a Seychellois General Manager, a Seychellois Executive Chef, a Seychellois Food and Beverage Manager, a Seychellois Front Office Manager and Seychellois Executive Housekeeper. This was also the case for Mahe Beach Hotel, Fishermen’s Cove Hotel, Coral Strand Hotel, Barbarons Beach Hotel only the Plantation Club Hotel had a mixture of expats and local. If this existed once, then it shows that it can be done and must be done. Therefore, there must be a concerted effort again by all authorities Agencies concern to speak the same language, to work together to make it happen and it must happen now. The young hotel management graduates study hard to achieve professional and academic success; they must not be disappointed when they return home. SNA: According to you what are the major challenges facing the industry? FJ: The major challenges are lack of workers, due to a lot of issues which we usually talked about, tourist being attacked on beaches, have their personal items were stolen, break-ins in small guest houses, and clients getting value for money. SNA: Finally what is your vision for the Seychelles Tourism Academy? FJ: Well it is not only one thing but, for STA to have its business entity infrastructure completed, to improve the quality and standards of training offered to pre-service and In-service tourism personnel, to continue to motivate and retain Seychellois staff and finally for my successor to be a Seychellois.